2 months pregnant with twins? You must have just learned that you’re expecting (congratulations!) but have yet to break the news to family and friends. It’s a great feeling, isn’t it? Knowing that your life is about to change in the most wonderful way, but keeping it a cherished secret at least for the next four weeks. This month should be all about sitting back and taking it all in. There’s bound to be a rollercoaster of emotions, what with your fluctuating hormones and the shocking news of a twin pregnancy. When it finally sinks in that this is actually happening and that your family is really about to grow a whole lot bigger, you can then ease into the whole thing by grabbing your diary and making plans for the coming months. 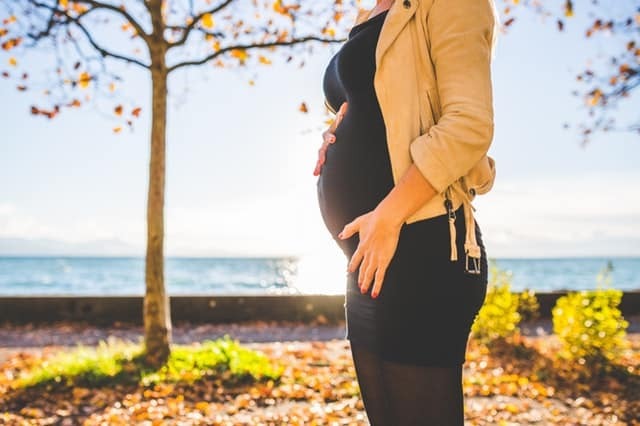 Look into attending childbirth classes, start planning your babies’ nursery, and prepare yourself for the battery of prenatal tests about to come your way. What are your twins up to at 2 months? By month 2, each of your twin babies will be about 1.5 cm long and will weigh about 1 gram. This is a period of rapid growth for them. Within a month, they will double their size, and by month 5, most of their body parts will become more specialized. For now, itty bitty arms and legs are starting to form, looking like tiny paddles. By the end of the month, their little hands will begin to bend at the wrists and fingers will start to form. Their feet will start to look less webbed, and the leg buds will begin to differentiate into thighs, legs, and feet. This month, your twins’ skeletal structures are beginning to become harder. They have gone from being purely flexible cartilage and are steadily turning into firmer bone. The babies’ skin is still paper thin, and eyelids are starting to cover their eyes. Buds that will become ears are growing, as are teeth and palates. All of their major organs, including their brains, kidneys, and livers are developing and becoming more complex. The same is true for their muscles, spinal cords, and nerves. Your twins’ bodies are growing longer and more erect. At two months, your twins’ hearts have formed left and right chambers. Soon, all four chambers of the heart will be present. 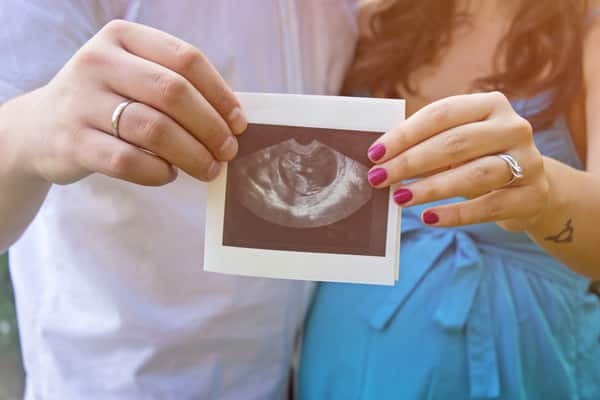 At this stage, their little hearts will be beating at a rate of about 150 beats per minute and may be detectable by ultrasound at your 6-week scan. Double the babies, double the fun! Right? Ermm, maybe not all the time. Unfortunately, with a twin pregnancy, you might also experience double the intensity of pregnancy symptoms. There will be mood swings, decreased libido, crazy cravings, skin issues, gum issues, and nausea. Not to worry though, as these are all perfectly normal during a twin pregnancy. Here are some symptoms you should expect. Morning sickness — You’ve likely been through some of this already, but at 2 months, pregnancy nausea can become quite severe. If you’re experiencing morning sickness at 2 months, it might be hard to keep food down. The trick is to forego large meals and, instead, graze on small but healthy snacks or mini meals throughout the day. It’s also incredibly important that you stay well hydrated. Food cravings and aversions — Those middle of the night cravings for pickles and cherry juice may be driving you (or your partner) crazy at this point. Don’t worry, this is perfectly normal and will soon pass. According to this study published in Frontiers in Psychology, pregnancy food cravings may not have anything to do with your nutritional needs, as was once thought. So remember to eat in moderation. Food aversions can be equally baffling, but rest assured this is just your body’s way of protecting you from potentially harmful foods. Headaches — Surging pregnancy hormones will be doing quite a number on you during the second month. This can lead to you getting more headaches than is normal. Headaches can also be brought on by dehydration (usually if you’re struggling with morning sickness), lack of sleep, or sudden caffeine withdrawal. Again, make sure that you’re hydrated and that you get enough sleep. Don’t take any kind of medication without consulting your doctor first. Mood swings — Your hormones are really going haywire this month, and one of the many side effects of this is you becoming even more emotional and/or irritable than usual. Fatigue — Another side effect of those crazy first trimester hormones, pregnancy fatigue is real and can really put a damper on your twin pregnancy buzz. You’ll start to feel more energetic during the second trimester; for now, get enough sleep and be mindful of what you eat. If you go in for a scan at 2 months, you’ll be able to see your twin babies with their little paddle-like arms and legs. They will be moving around quite a lot, and you’ll be able to hear their beating hearts. They’re still just the size of raspberries at this point, but they are growing rapidly. Before you start panicking about all the things you still need to do, prepare for, and purchase before the birth of your twins, take a step back and breathe. Every expectant mum goes through these feelings, worries, and panic attacks. Just be kind to yourself and know that everything will be okay. If you’re 2 months pregnant with twins, you’re just at the beginning of this beautiful new adventure. Enjoy it! If you have any questions for us, leave them here. We hope everything goes smoothly for you.